← 2012 Summer Book Review Finale: What if? I remember hopping into taxi cabs terrified that my broken portuguese wouldn’t suffice in communicating my desired location. After a few lengthy and circuitous rides around Sao Paulo, Brazil I reverted to taking the local bus. Much to the horror of my work colleagues I might add. These taxi escapades introduced me to the colorful ribbons that dangled from the rear view mirrors of almost every cab in the city. On each read the phrase, BonFim, and it’s originator the Church of Nosso Senhor do Bonfim. Bonfim simply translated means, good end. If ever there was a wish for transition…. Does transition ever end? Maybe it’s like success, subject to a singular constantly evolving definition. What do you think? I reconnected with the spouse of one of my husband’s co-workers last weekend at my husband’s company’s summer outing. She’s had significant health issues over the past year due to a severe reaction to poison sumac and its subsequent treatment. Her body’s entire right side functionality has been compromised. She now cannot walk unassisted. I hadn’t seen her since before this came up. I asked how she was. She briefed me on the physical challenges, the unenlightened employer. Then she surprised me. ‘It’s all going to work out. This is going to be good.’ I was floored. She went on, ‘I’ve decided that I never want to go back to what I was doing. I want to start two non-profits.’ From there she described for me her goals and the impact that she hopes to have. I was touched by her resolve and her willingness to extend herself in this way. 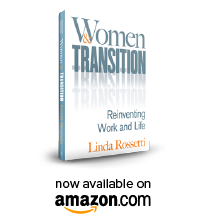 She was thrust into transition…like so many who lose a job or face the sudden loss of a family member. In a relatively short amount of time she landed on ‘experimenting.’ Long time readers may recall one of my favorite Summer Book Reviews….Herminia Ibarra’s Working Identity in which she ‘encourages readers to envision many possible future selves and to test each to see how they might fit.’ This lady was trying on her new self by talking to me about this future plan. Experimenting. She’s done all this in less than a year? Wow. Comparisons are hard to avoid when I think about my 2+ year transition. Is it over? Should I be moving on? Not yet. Maybe not ever. You see today I’m energized by a set of experiments that I’ve assembled. All radiate from my interest in women’s development, a lifelong interest I might add. There is my participation in an angel capital network that helps female entrepreneurs secure growth capital for their businesses. Did I mention that I love it? There is this blog..for which I’m grateful for your participation. Did I mention that I love this too? And I’ve been asked to sit on a Board of Trustees of a large healthcare non-profit. Did you know that women represent the most significant decision makers for their family’s health? Despite this swirl of activity and the presence of some things that might anchor who I become as I look forward….my transition is far from over. William Bridges author of Transitions: Making Sense of Life’s Changes defined transition as, “an ending, followed by a neutral zone, followed by a beginning.” I place myself in the beginning of the beginning. Does transition ever end? My answer to this question today would be no. For those who enter it and suspend the ‘expectations’ of others…I believe it is ongoing. To me it is understanding who you are in the context of your current conditions. It has roots in who you’ve been all along the way…but it is forward-looking and aspirational. The original BonFim wish was created in a tiny church that sits on a peninsula in the south Atlantic. It is said that sailors received the wish at the beginning of their journey in hopes for a ‘good end.’ I think women’s transitions are similar to the experiences of the seafaring folks who sailed past the Church of BonFim….living lives defined by many voyages, each with a wish for a good end. This entry was posted in Observations on Transition and tagged career transition, career transition issues, completing transition, ending transition, Herminia Ibarra, novofemina, observations from a women's transition, transition, Transitions Making Sense of LIfe's Changes, William Bridges, women's transition, women's transition issues, Working Identity. Bookmark the permalink. Diane, thank you for your kind words. Here is my wish for you today, Bonfim!